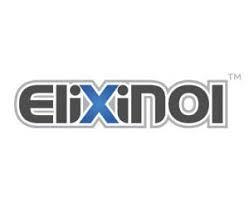 Elixinol have positioned themselves – in their own words – as the ones with the ‘commitment to being the worldwide company of choice for cannabinoid products’. This company has a longer-standing reputation and deeper investment pockets than other CBD companies in the marketplace. They’ve developed a corporate strategy and culture that not only offers a diverse variety of CBD products, but is also devoted to giving back through philanthropy and charity. Elixinol again offers their own registered trademark brand products starting with CBD capsules, hemp CBD oil liposomes and hemp CBD oil tinctures including the new Respira Versatile CBD tinctures. Their X-Pen CBD Oral Applicator comes in a 1000 mg size and they’ve supplied topical solutions to pain management with their CBD Topical Balms. Elixinol even goes so far as to offer CBD dog treats, as well as hemp seeds and a hemp protein powder. I like that elixinol offers a completely transparent experience with their product. Each product and batch comes with it’s own batch and lot numbers so they can identify what’s what. You can also view all the available information on each batch. This also means if there were ever an incident for which they would need to recall the CBD oil they had already sold; they could easily locate each affected item.